Go Hotel - Subang Jaya's trendy boutique hotel offers 35 comfortably fitted rooms with modern facilities such as satellite TV channels, 5-star beds and sheets, high pressure heated shower, air-conditioning and a chic ambience. The hotel is also served by a passenger lift for the convenience of our guests. 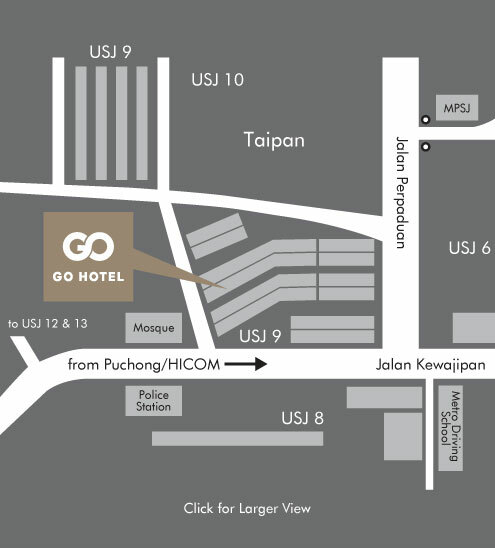 Go Hotel is strategically located within the vibrant Taipan Business Centre enclave and is a stone's throw from Subang's many industrial and commercial parks. 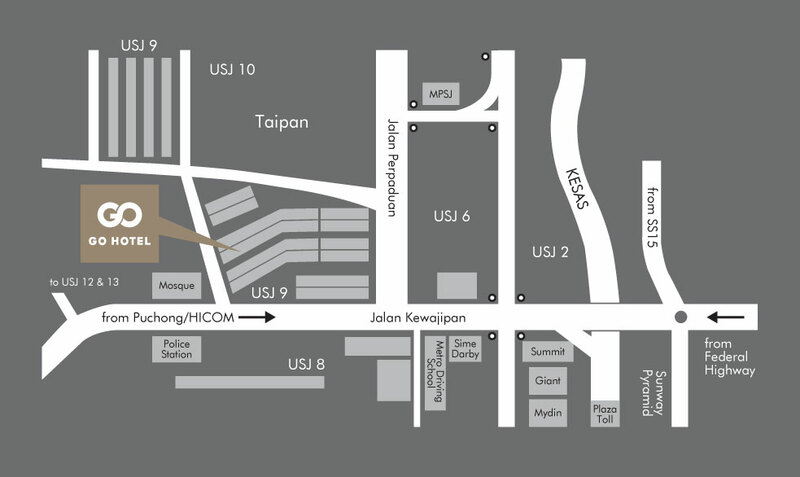 We are a convenient access to nearby colleges, malls and theme parks such as Taylor's, INTI, Summit, Main Place and Sunway Lagoon. While you are here, Go Espresso! - At our in-house cafe, enjoy a great cup of coffee brewed by deftly skilled baristas, and grab a sizzling hot pie or a delectable ice cream to go with your cuppa. Reviews Help Us Serve You Better!